The Memphis business community has benefited from the leadership of Ira A. Lipman for many years. His entrepreneurial spirit led him in 1963 to found Guardsmark, a privately held security firm headquartered in Memphis, Tennessee. With Fiscal Year 2014 revenues more than $500 million, Guardsmark currently employs approximately 17,000 people in more than 130 offices in the United States, Canada, Puerto Rico and the United Kingdom. From 1977 to 2009, Guardsmark achieved a more than 10 percent compounded annual growth rate without acquisition. Known for its innovative security concepts and rigid standards of excellence, Guardsmark’s meteoric growth since its founding has earned it the position of one of the world’s largest security service companies. Ira Lipman serves as chairman and president, and his leadership and vision have driven the organization’s success, leading Time magazine to cite Guardsmark as the company “. . . which many security experts consider the best national firm in the business.” He and Guardsmark have been editorially praised by The New York Times. Ira Lipman is a legendary figure in the security world for his unwavering commitment to the highest standards of sustained excellence, and his decades-long, almost single-handed efforts to raise industry standards, change security into an innovative, honored profession, and promote a deeper understanding of private security’s role in protecting the critical infrastructure of the United States of America and other countries. He has created and advanced legislation to benefit the security industry. For these achievements he has been lauded both in books and the global media as a pioneer and visionary. In 1985-86, as campaign chairman, Ira Lipman led the United Way of Memphis to the largest percentage increase in contributions among the fifty largest cities in the United States, and the previous year – 1984 – founded the Alexis de Tocqueville Chapter of United Way of Memphis. From 1992 to 1997 he served as the first Chairman of the Ethics Committee of the Board of Governors of United Way of America and was responsible for its first Code of Ethics and many thereafter. Guardsmark has had an ethics code since 1980 and Ira and Guardsmark have received national awards in business ethics: the American Business Ethics Award, the Committee for Economic Development Corporate Citizenship Award, and to Ira personally the Stanley C. Pace Leadership in Ethics Award. 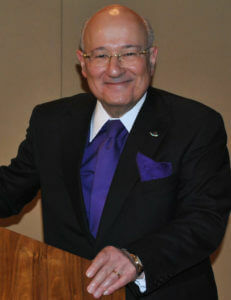 Ira Lipman has held leadership positions in many organizations, including a Presidential appointment as Memphis Metro Chairman of the National Alliance of Businessmen, served on 58 boards in Memphis, and chaired numerous dinners. He currently serves as a member of more than 20 international, national and local boards, and is a member of the Council on Foreign Relations. Ira Lipman was the recipient of the Junior Achievement Master of Free Enterprise Award in 1987 and was named Entrepreneurial Fellow at Memphis State University in 1976. He served as Founding Chairman of the Memphis Shelby Crime Commission in 1997 and the Memphis Young Republicans Club in 1960. His achievements have been featured in 110 books, and he is listed in Who’s Who in America, Who’s Who in the World and Contemporary Authors. In addition to business savvy, Ira has demonstrated great dedication to civic involvement. Nationally, he is active in many business, political, religious and human relations endeavors. He is Honorary Chairman and Chairman Emeritus of the National Council on Crime and Delinquency, and Honorary Chairman for Life of the National Conference of Christians and Jews. A member of the Board of Overseers of the Wharton School of the University of Pennsylvania since 1991, he received the Dean’s Medal in 2004. He is currently a member of the Executive Committee and a Trustee of the Simon Wiesenthal Center, the international human rights organization, and in 1995 established the John Chancellor Award for Excellence in Journalism – currently administered through the Columbia University School of Journalism – in recognition of outstanding journalists whose work benefits society. Ira Lipman is also an accomplished author of several publications, including the book How to Be Safe, published by Reader’s Digest – the fifth edition of How to Protect Yourself from Crime – and The Lipman Report®, a specialized monthly management newsletter. With Fiscal Year 2014 revenues of more than $500 million, privately owned Guardsmark is one of the world’s largest providers of security services. The company has about 17,000 employees in more than 130 offices serving customers in over 400 cities throughout the United States, Canada, Puerto Rico and the United Kingdom. Guardsmark has employed more former FBI agents than any other company in the world.